Frederick Robinson served as Prime Minister from 31 August 1827 to 8 January 1828. He was born in London on 30 October 1782, the second of three sons born to Thomas Robinson, second Baron Grantham, and his wife Lady Mary Jemima Grey Yorke. 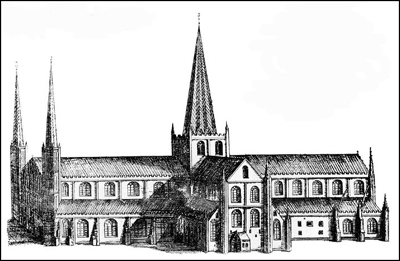 He was educated at Sunbury; between 1796 and 1799 he attended Harrow and then he was admitted to St. John's College, Cambridge. He was awarded Sir William Brown's medal for the best Latin ode in 1801 and received his MA the following year. He then entered Lincoln's Inn as a law student. He was not able to go on his Grand Tour because of the French Wars. Between 1804 and March 1806, Robinson served as private secretary to the Earl of Hardwicke, who was the Lord Lieutenant of Ireland. Robinson entered parliament in November 1806 as MP for Carlow Borough, Ireland; however, the following year he was elected as MP for Ripon in the North Riding of Yorkshire, a constituency that he represented until 1827. Castlereagh appointed Robinson as Under-Secretary of State for War and the Colonies in 1809 although Robinson felt obliged to give up the post on the resignation of Castlereagh later that year. Subsequently he declined posts in the Treasury and Admiralty that were offered by Spencer Perceval. He did accept the post of a Lord of the Admiralty that was offered by his cousin Charles Yorke. In 1812, Robinson became a Privy Counsellor and then was appointed as Vice-President of the Board of Trade by Lord Liverpool, the new PM. Just before Christmas 1813, Robinson accompanied Castlereagh on a diplomatic mission in Europe that results in negotiations for the Treaty of Paris (1814) following the end of the Napoleonic Wars. Whilst he was at Chaumont, Robinson rummaged among the papers on his desk so much that his colleagues nicknamed him the 'Grand Duke of Phussandbussle'. On his return from France, Robinson married Lady Sarah Hobart; the couple had two sons and a daughter. In March 1815 it was Robinson who introduced the Corn Laws to parliament; he did so reluctantly. Soon afterwards a mob attacked his house; the riot was controlled by soldiers in the house and two people were killed. When he was informing parliament of these events, Robinson broke down in tears and acquired the nickname of 'the blubberer'. In January 1818 he took up the post of President of the Board of Trade; the next month he also accepted the post of Treasurer of the Navy. Robinson moved to the Treasury as Chancellor of the Exchequer in January 1823, taking over the job from Nicholas Vansittart. His first budget predicted a surplus of over £7 million. He set aside £5 millions to service the Sinking Fund to pay off part of the national debt; the remainder was used to halve the window tax. This budget earned him the name of 'Prosperity Robinson'. In his second budget he reduced or abolished many duties on foreign imports. When Austria repaid part of a loan, Robinson was able to use the surplus funds to give grants for the building of new churches, the restoration of Windsor Castle and the founding of the National Gallery. His third budget further cut duties and reduced the house tax and window tax. Unfortunately, these tax cuts preceded a major commercial crisis. Robinson introduced the Promissory Notes Bill that prohibited the issue of bank notes of less than £5; he was obliged to allow the production of smaller value notes soon afterwards. In March 1826 he was able to assure the House of Commons that the crisis was over and defended his economic policies in the subsequent motion calling for an enquiry into the causes of the distress. Following the death of his eleven-year-old daughter in October, Robinson asked Liverpool to move him to the House of Lords with a less important post. The PM refused but Robinson was appointed as Secretary of State for War and the Colonies in April 1827; concurrently he was created Viscount Goderich of Nocton and moved into the House of Lords. 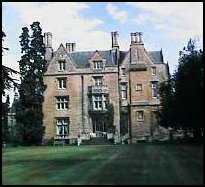 Nocton Hall near Sleaford, Lincolnshire. The house was built in the early 1840s for Frederick Robinson, Viscount Goderich and first Earl of Ripon after the original house burned down in 1834. While this house was being built, Goderich lived in the steward's house at Nocton, and at his homes in Carlton Gardens and Putney Heath. George IV asked Goderich to become PM on the death of Lord Liverpool but restricted Goderich's policies by forbidding any consideration of parliamentary reform, Catholic Emancipation, or the inclusion of more Whigs in the Cabinet. Goderich was obliged to accept these terms but persuaded the King to allow the issue of Catholic Emancipation to be an 'open question'. Although George IV agreed, he went on to tell Goderich whom to appoint to his Cabinet. Unfortunately, the king's choice of Herries as Chancellor of the Exchequer weakened the PMs credibility. In Canning's ministry, Britain had supported the concept of Greek autonomy within the Ottoman Empire and the Treaty of London (1827) was agreed between Britain, France and Russia for the three nations to mediate in the Turko-Greek war. The Ottomans rejected the Treaty so Goderich's government agreed to put a blockade around Greece to hinder the military activities of Mehemet Ali. The instructions were sent to Admiral Codrington, commander of the Mediterranean fleet but before the orders arrived, Stratford Canning, the British Ambassador to the Porte, ordered a total blockade of Greece upon his own initiative. In October the Turkish fleet met the joint Anglo-French fleet; a shot was fired and a full-scale naval engagement took place during which the Turkish fleet was destroyed. The Duke of Wellington called the action,' an untoward event' but the Cabinet was divided over how to react to the battle. Shortly afterwards a major rift occurred in the ministry and George IV took Goderich's complaints as his resignation; Harrowby was offered the post of PM but refused so Goderich resumed the job until January 1828 when he resigned; he was succeeded by the Duke of Wellington. In 1830 Goderich became the Secretary of State for War and the Colonies in Earl Grey's ministry but in 1833 he was pressed to give up his post and to accept the post of Lord Privy Seal instead. Shortly afterwards he was created Earl of Ripon. It was the newly-created Earl who introduced the Bill for the Abolition of Slavery to the House of Lords; he succeeded in having the various clauses passed by the peers. He wanted a better post than the one he held but despite many promises from Grey, no other appointment was offered to him. In May 1834 he resigned along with other members of the government in opposition to the Irish Church Bill. In 1836 he rejoined the Conservative Party, now led by Sir Robert Peel, and accepted the post of President of the Board of Trade in Peel's second ministry (1841). It was the Earl who was responsible for introducing Peel's fiscal reforms to the House of Lords. Goderich resigned on the fall of Peel's ministry in June 1846; the following year he made his last speech in the House of Lords on Irish affairs. He died on 28 January 1859 at Putney Heath, following a short illness. Jones, W.D. 'Prosperity' Robinson: the life of Viscount Goderich 1782-1859. London, 1967.